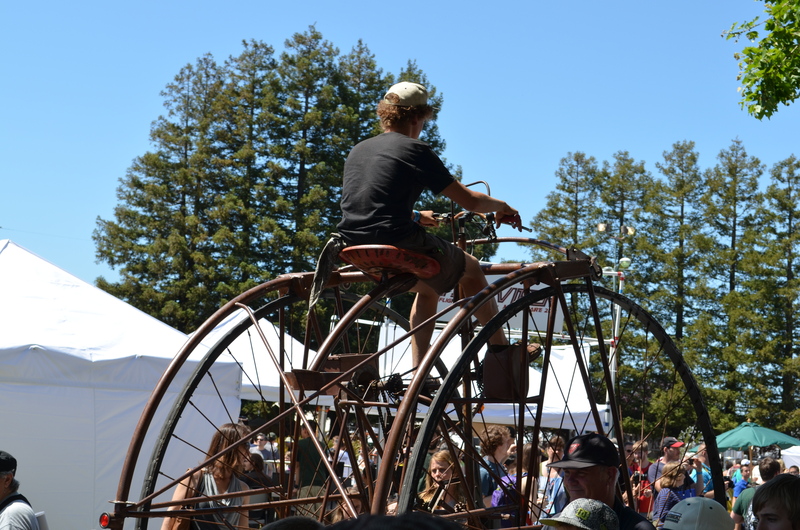 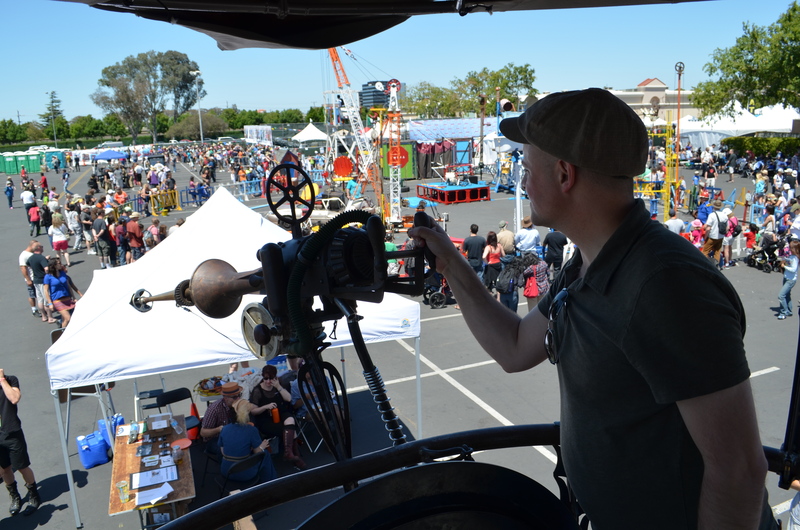 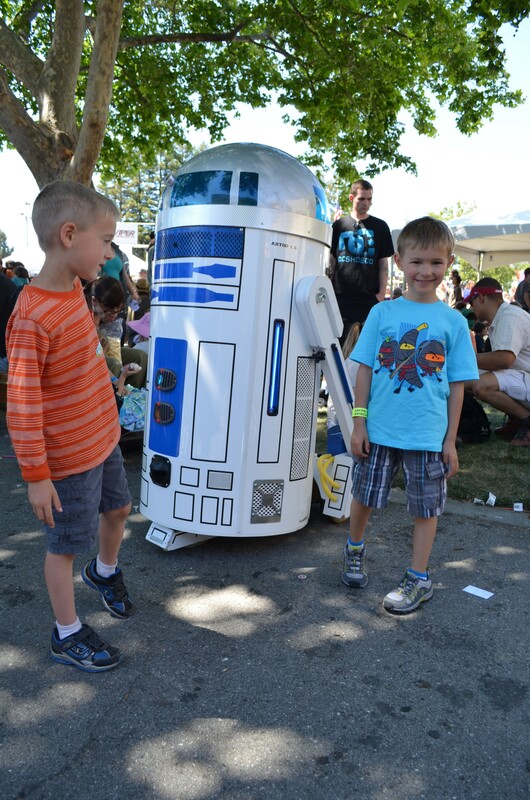 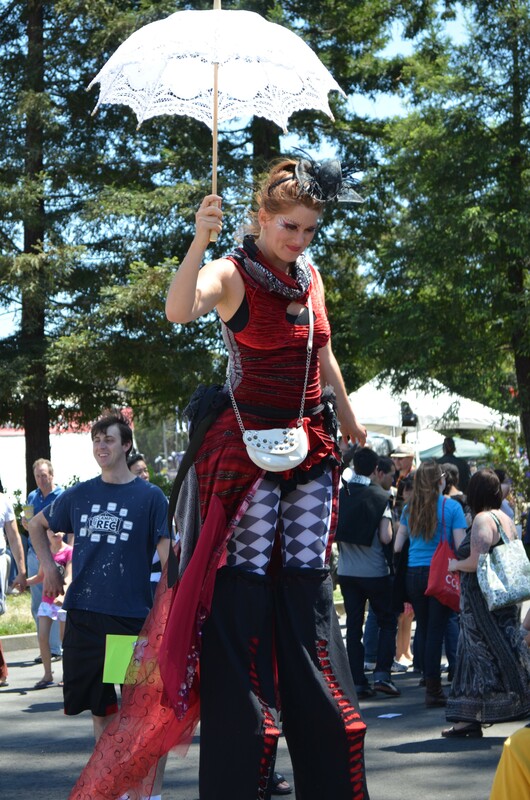 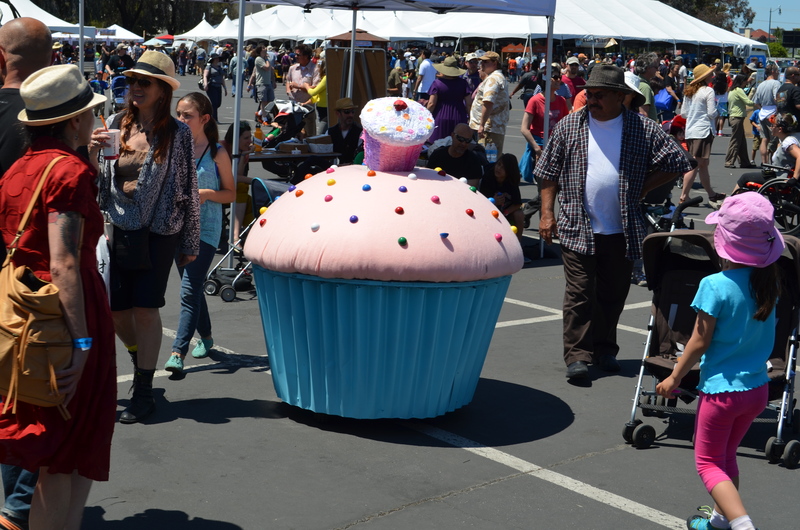 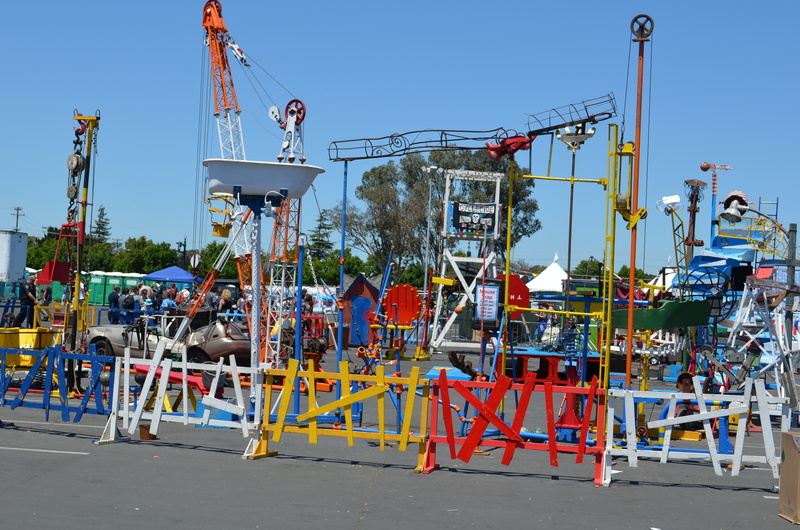 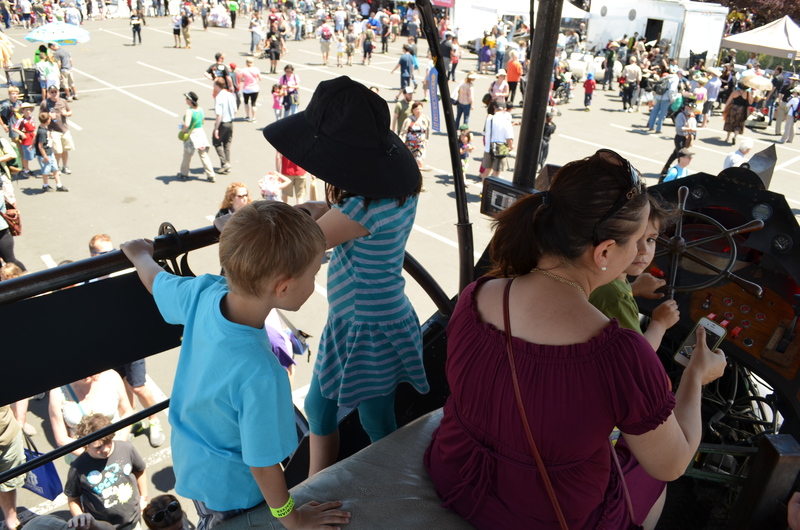 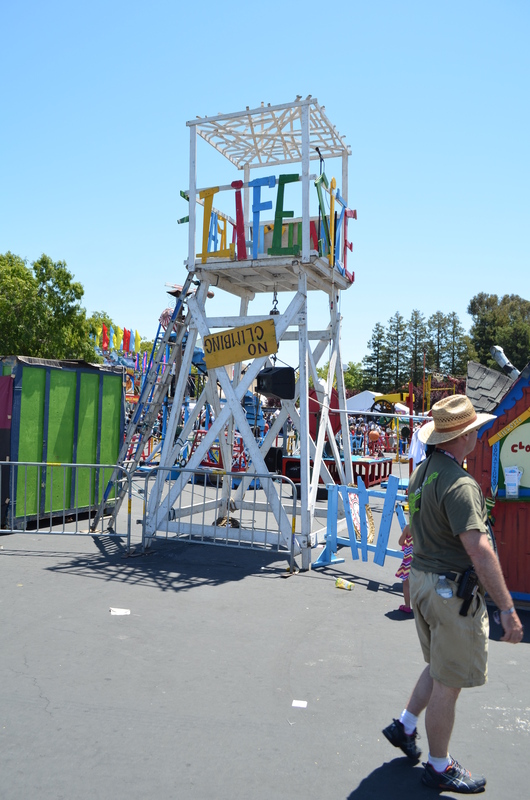 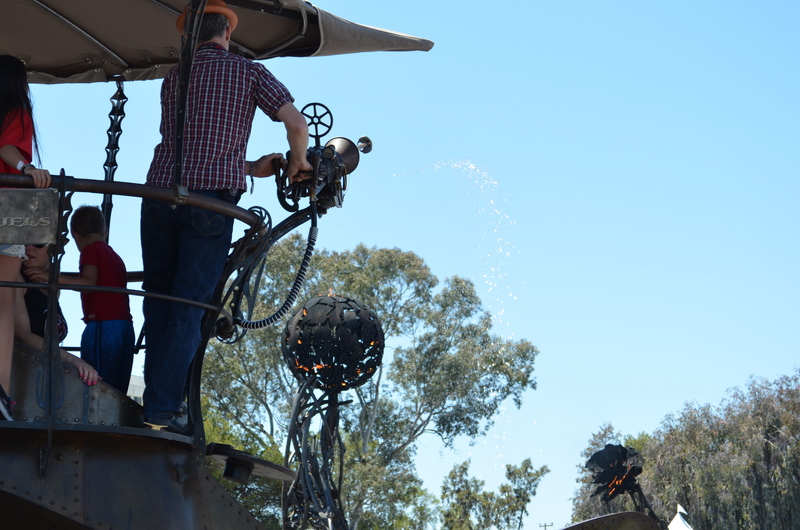 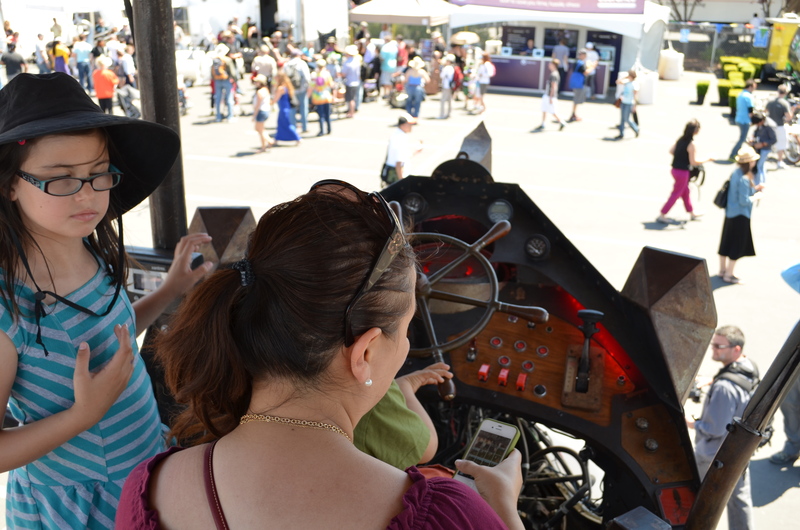 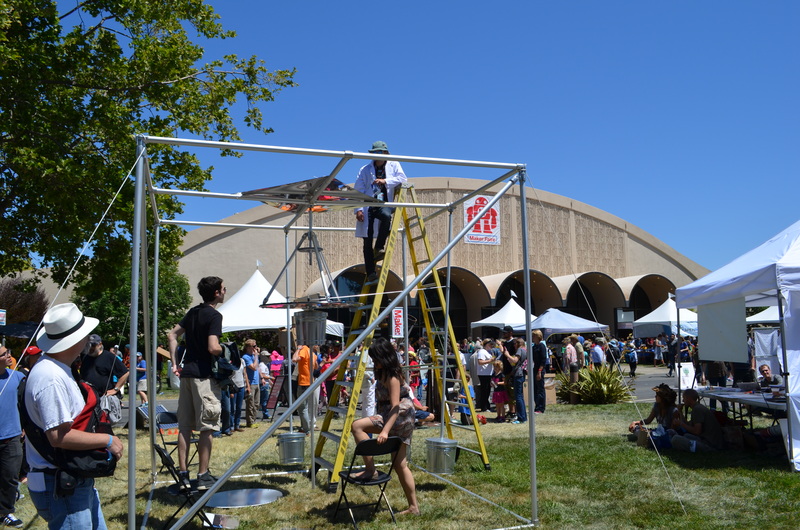 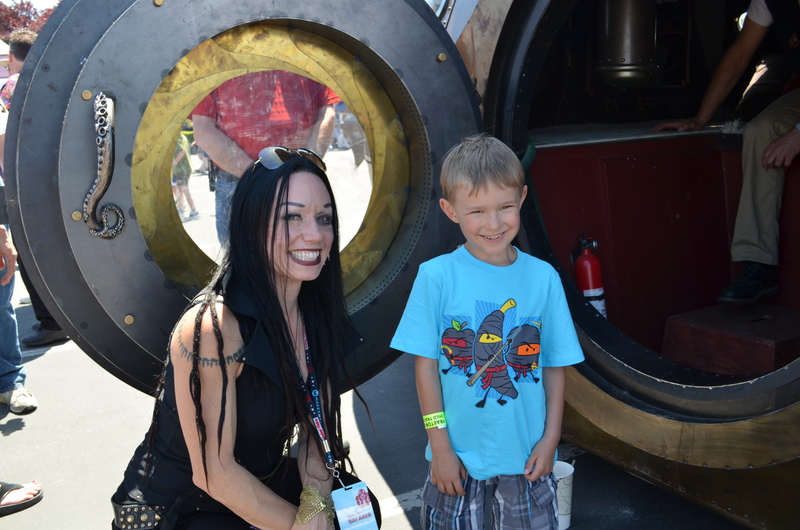 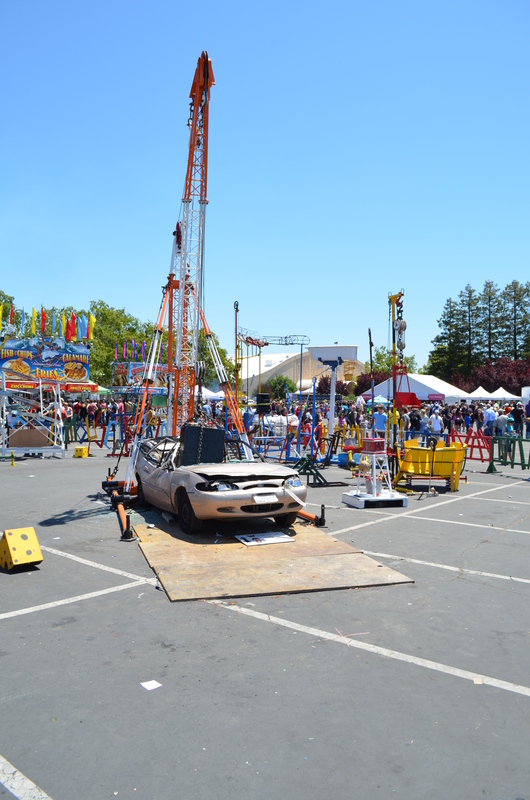 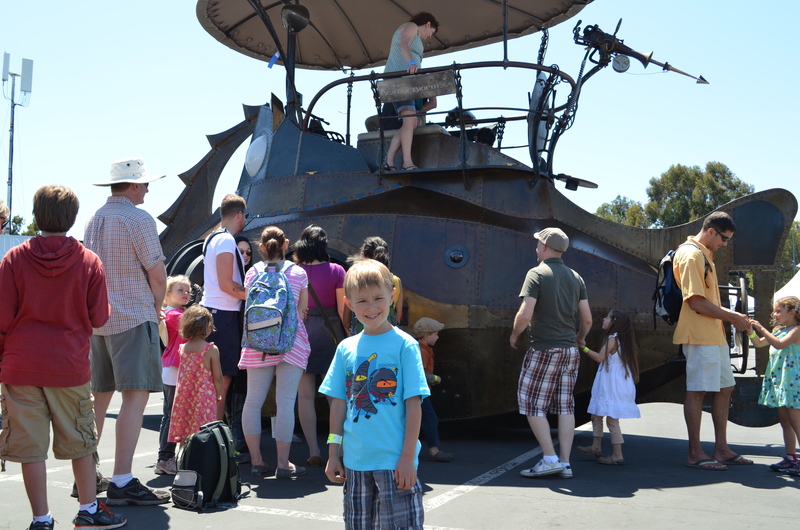 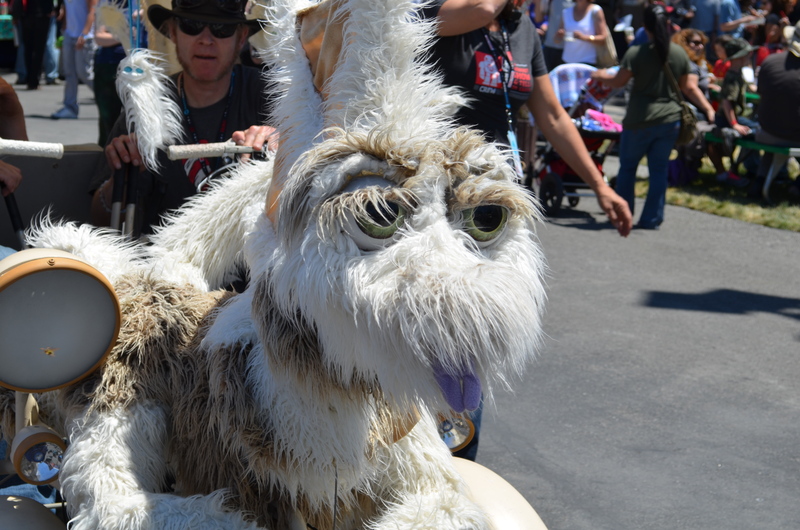 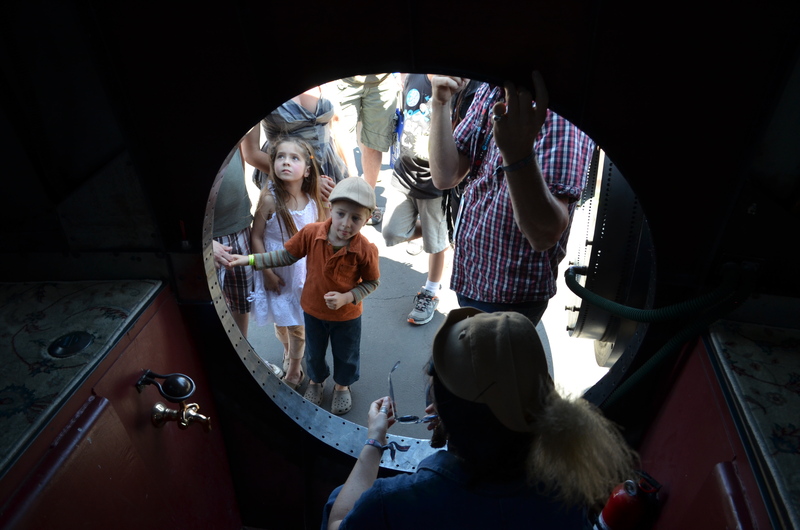 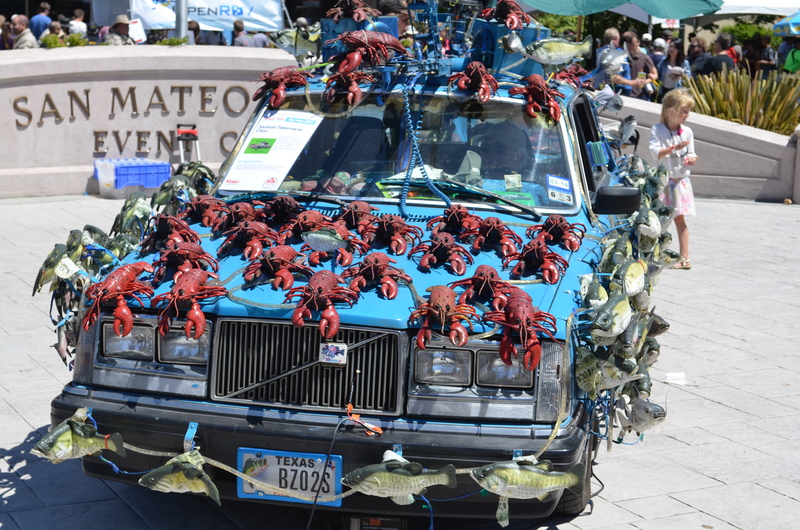 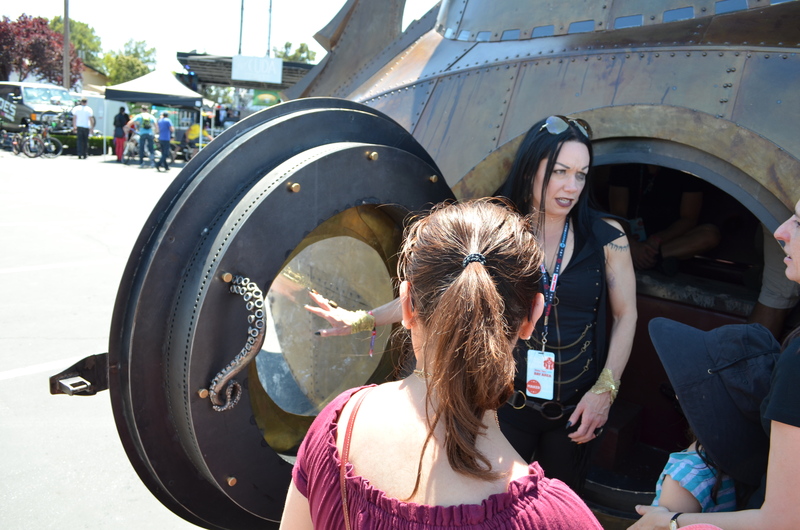 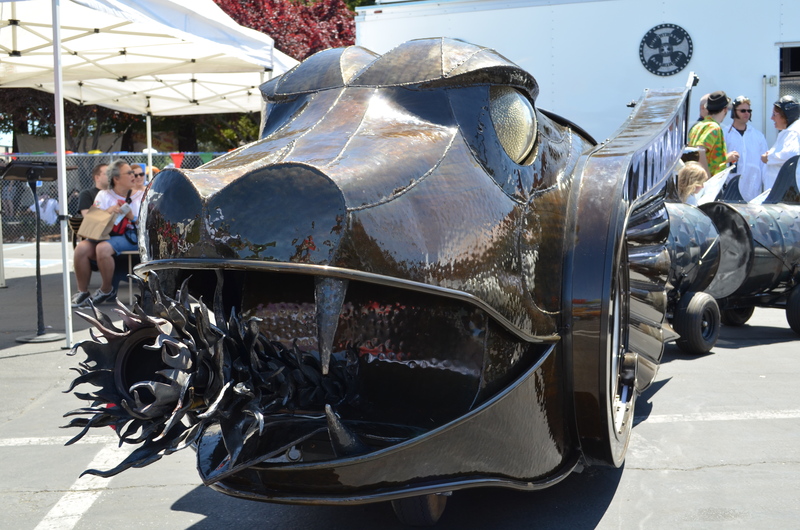 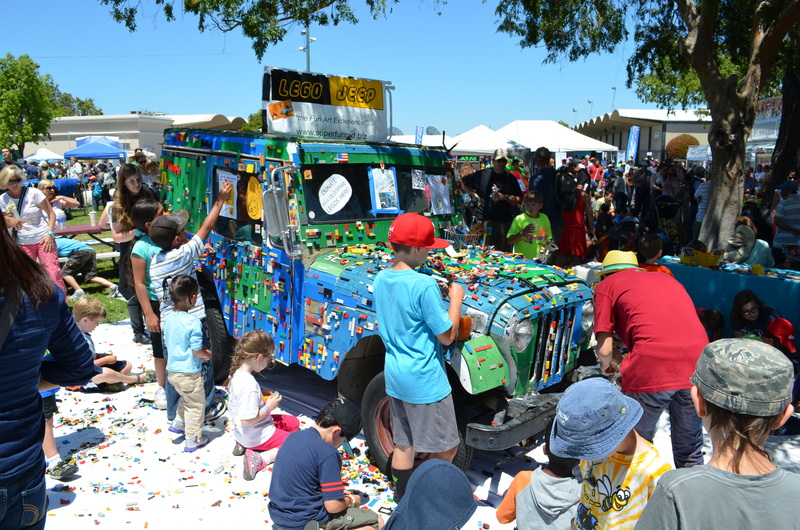 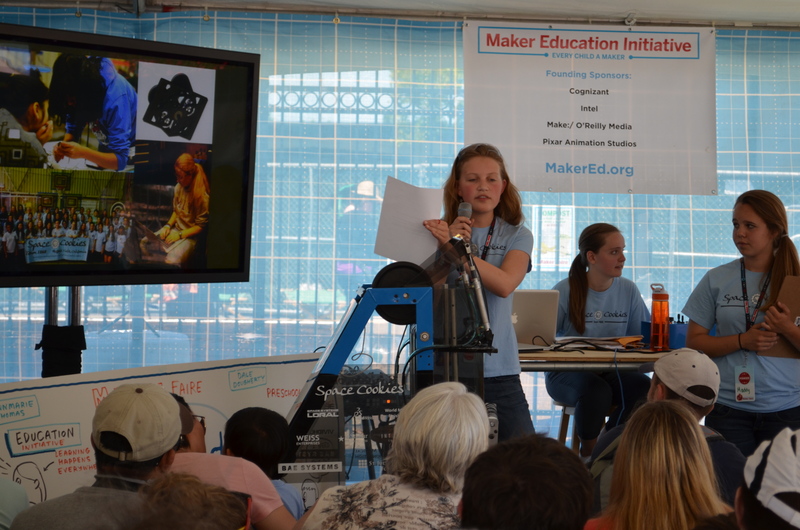 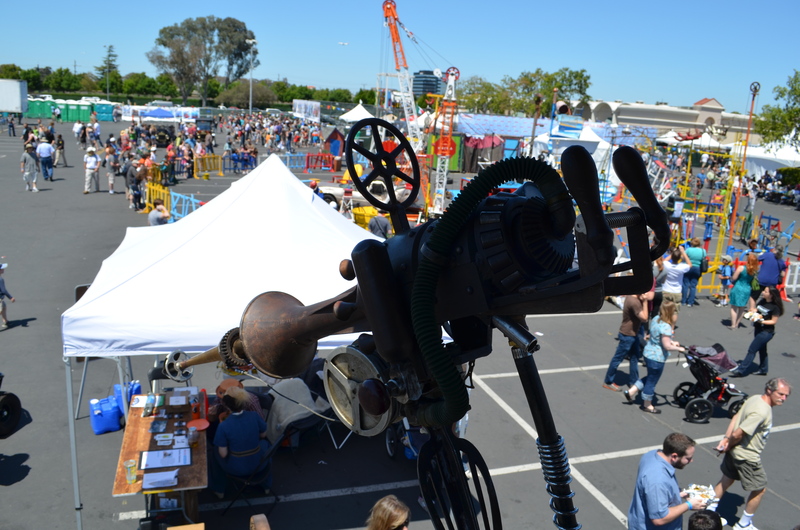 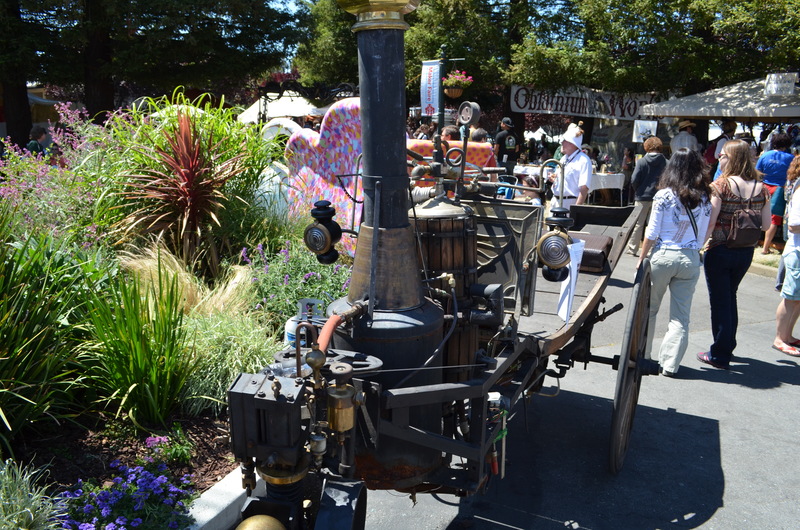 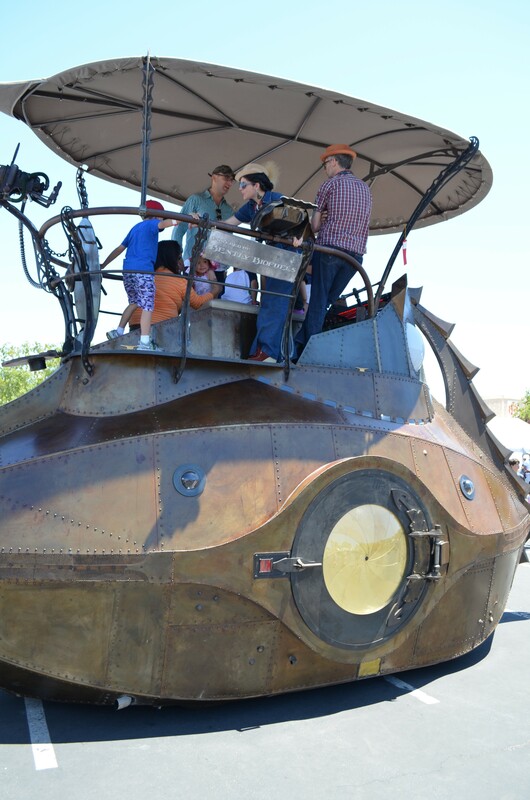 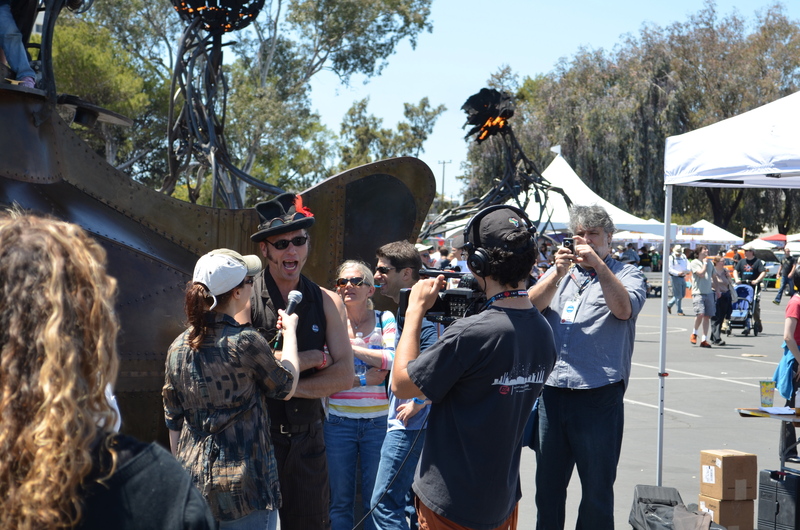 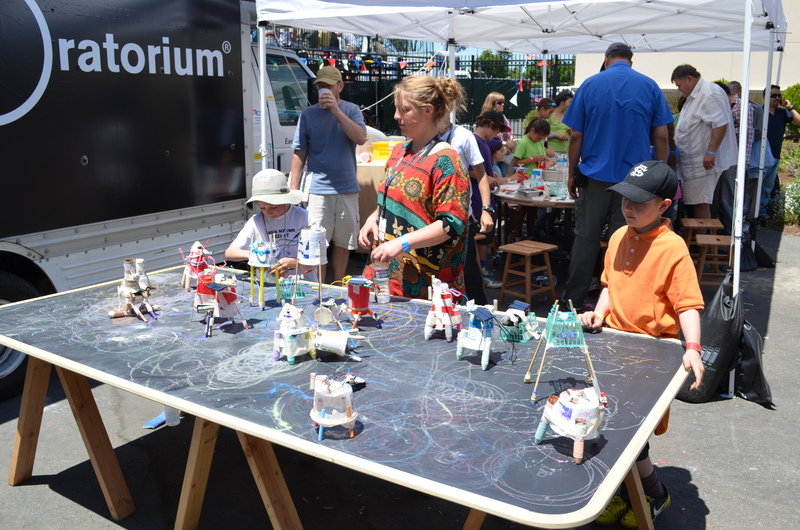 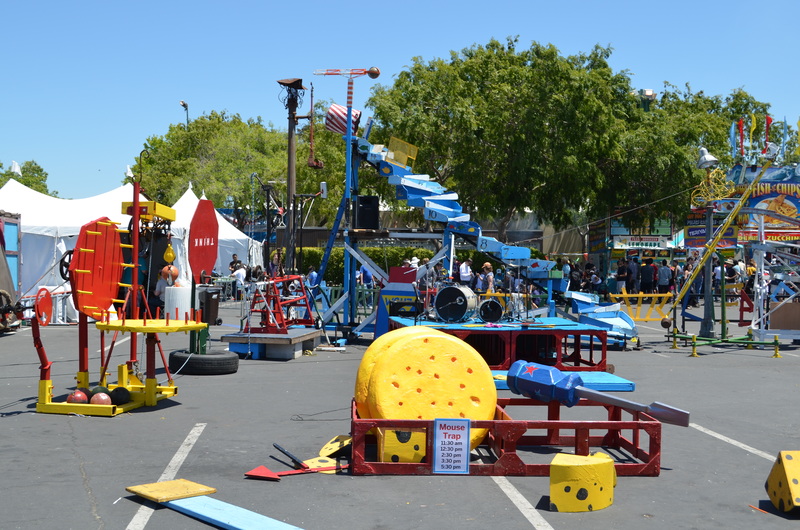 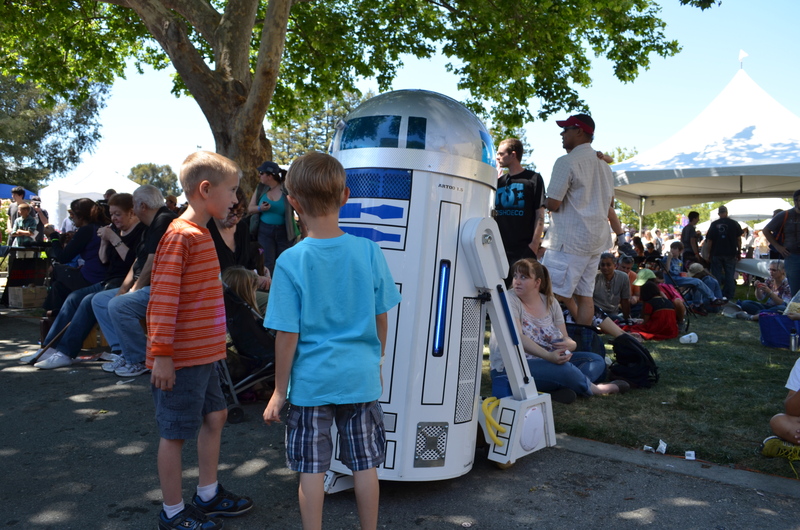 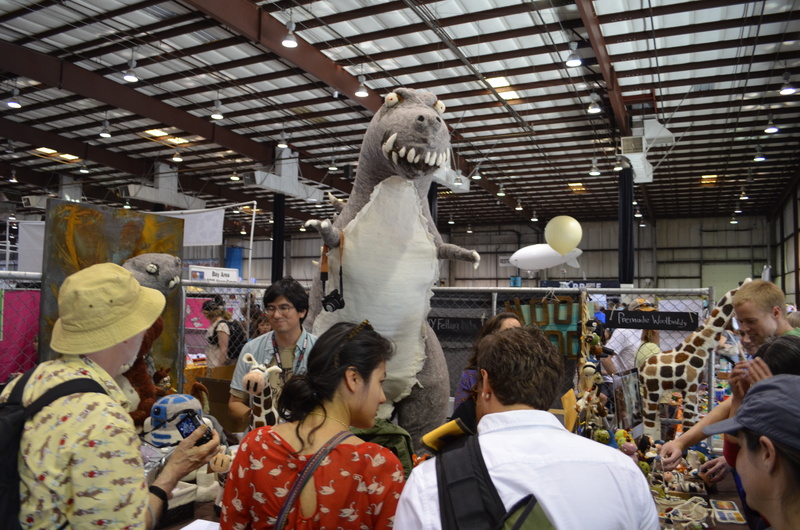 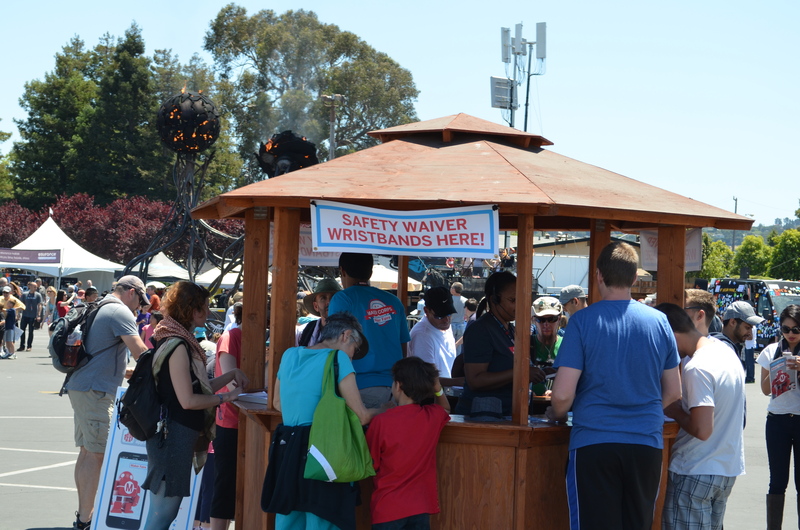 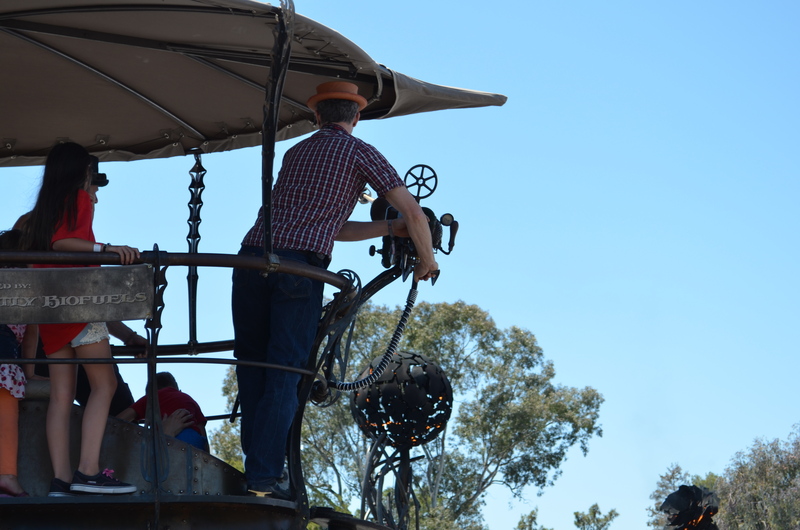 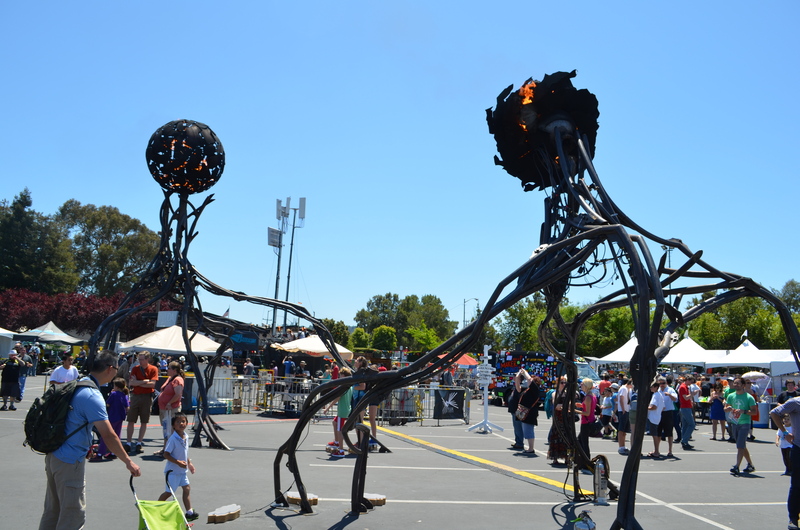 Had a great time today going to the 2013 Maker Faire in San Mateo today. 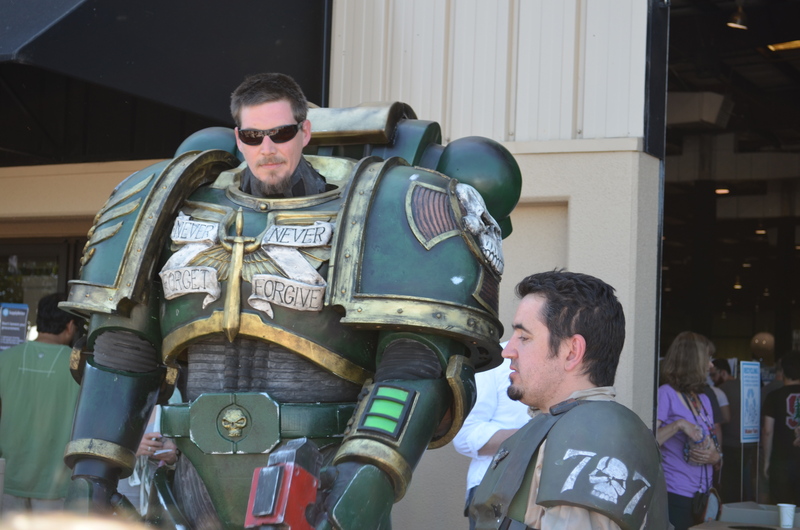 Bought a marshmallow shooter kit for Tyler and a t-shirt for myself and figured I would buy anything else online at a later point. 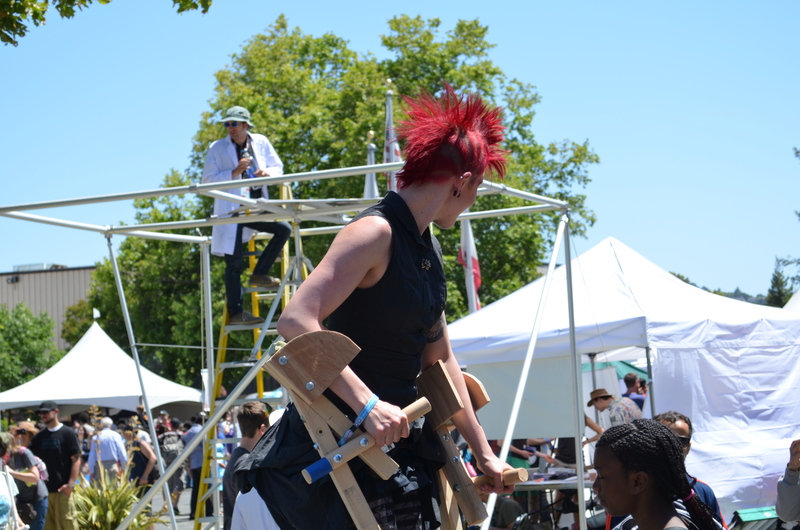 I found the people attending the event to be very pleasant and the makers excited to show off and talk about their projects. 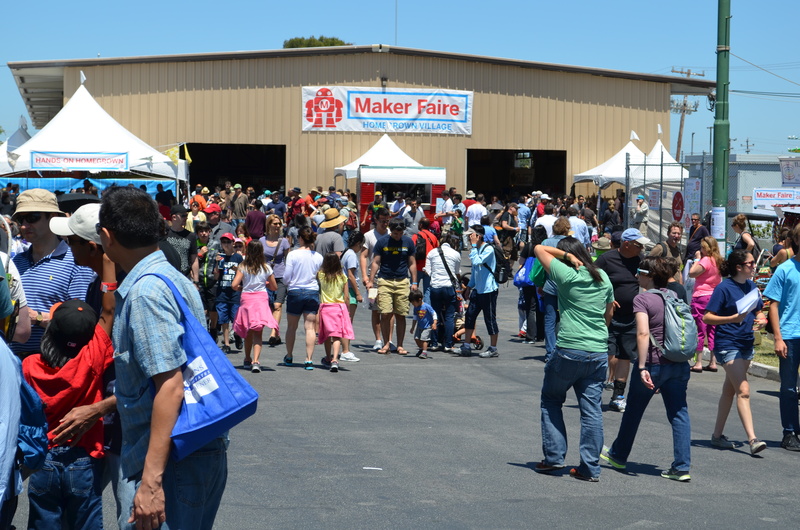 As a first time attendee I would recommend going early because parking became difficult at 11am and we had to walk a few miles to and from the event as a result. 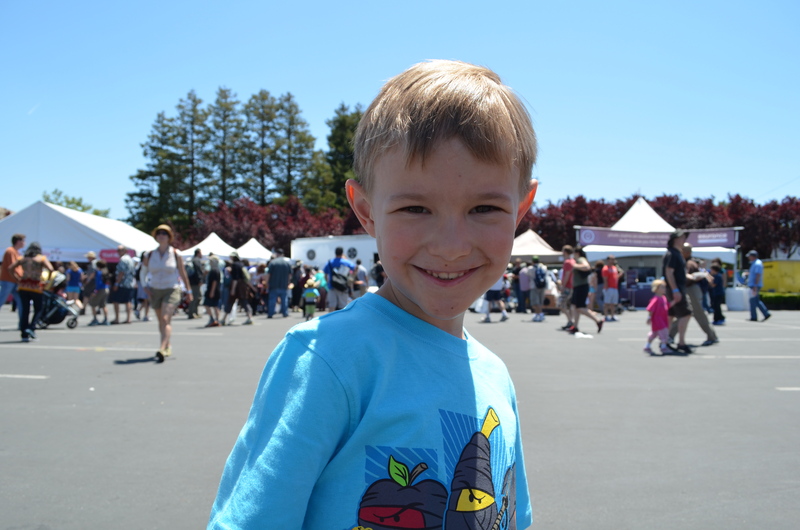 I pushed Tyler in an umbrella stroller which he is border line too big for but asking a six year old (as of today) to walk that much would have been tough on him. 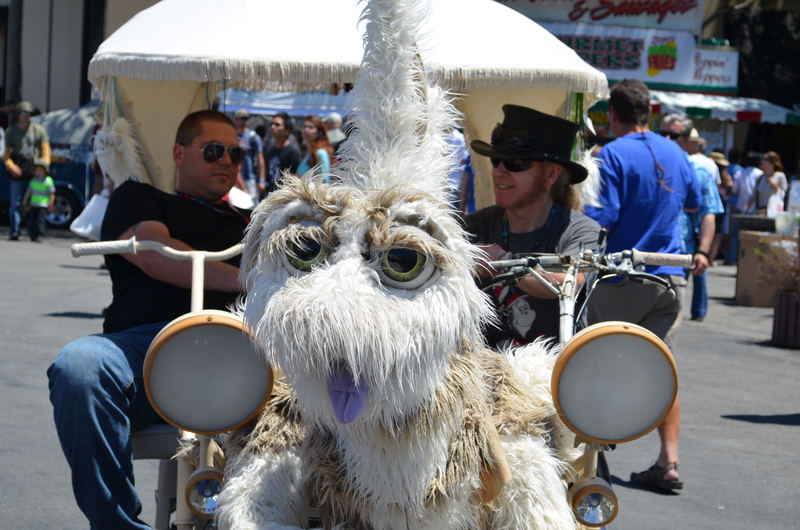 He stayed in the stroller most of the time until he saw the Streampunk inspired former airplane mover he had to go in. 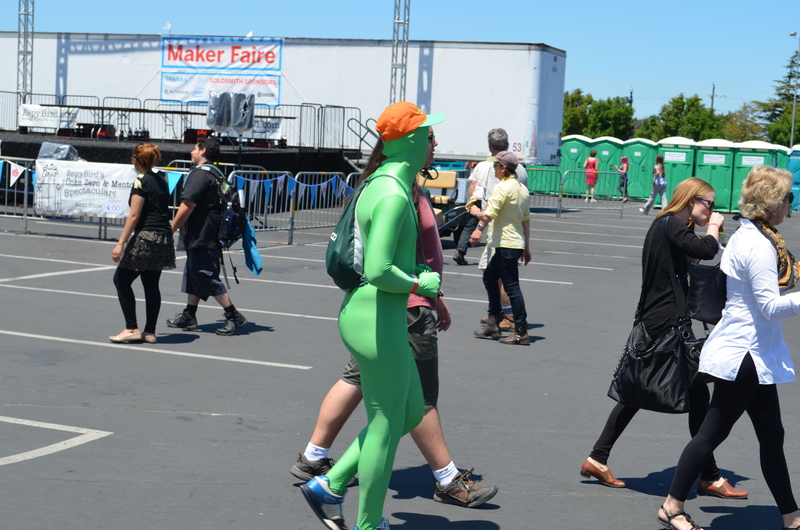 We stood in line for about an hour in the sun for that. 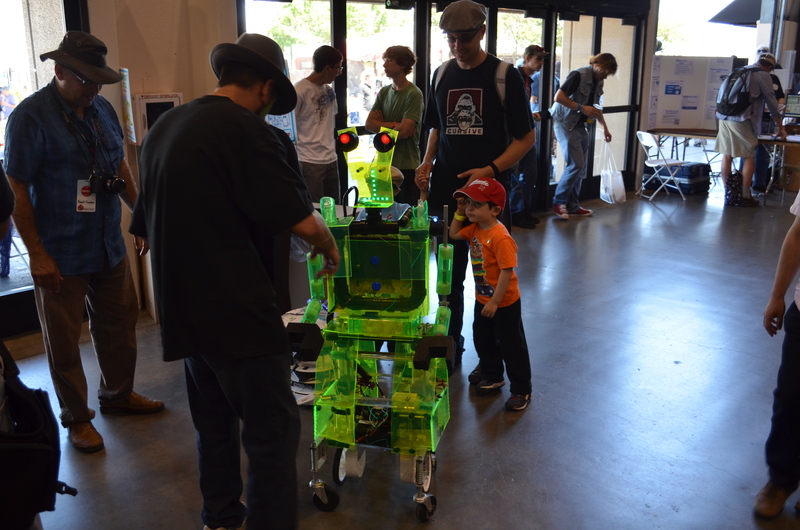 I’ve been thinking about getting an Arduino or a Raspberry Pi and was going to get one at the event but decided to buy it online as well in the future.